Assumption: You have already have a solution and we are going to create the app in a solution. The creation and management of a solution is for another day and another post. 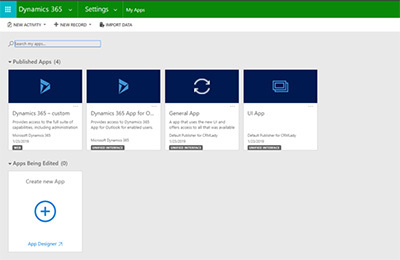 The solution you plan to use includes the entities that you want to include in your Microsoft Dynamics 365 app. 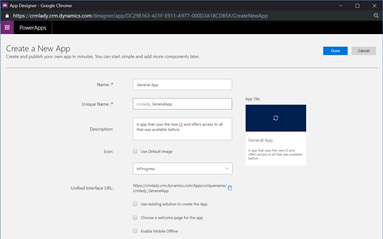 Step 1: Select Settings, Solutions and open the solution where you would like the configuration of your Microsoft Dynamics 365 app to reside. Step 2: Scroll down to Model-driven Apps. 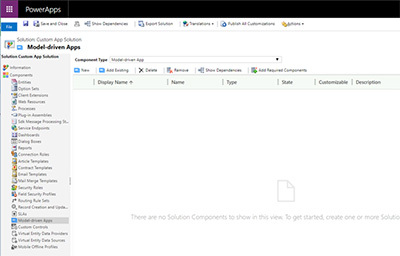 Step 3: Select New, to create a new model-driven app. 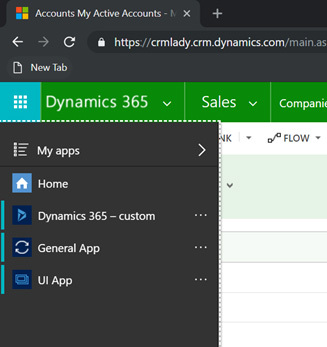 Step 4: Name your Microsoft Dynamics 365 app and give it a new logo (or use the default logo). Step 5: Choose to use an existing solution. This will automatically create the app’s sitemap and a subset list of entities that can be associated to the app. Step 6: Select your solution and the sitemap. Step 7: Configure your app’s sitemap by selecting the pencil next to the word sitemap. The goal of configuring the sitemap is to indicate what entities and options you want available for the user running the app. All entities do not need not be included. Step 8: The Site Map Configuration: I choose the default solution as a base in this example. I can now delete or move the items that are not required, or I can add more. Step 9: Delete an Area: To delete, highlight the area name (in the grey bar) and select the delete trashcan icon. This does not delete the entity. It only removes the item from the site map. Step 10: Add an entity: To add an entity to one of the area menus, you can select the xxxx and click on the Add + icon. If I click My Work and choose Add +. I am offered the option to add an Area (as seen in the grey bar), a Group (as highlighted in blue) or a Sub area (which is a specific entity or feature such as dashboards or contacts). Step 11: Save and publish your site map. Now save and close the site map. Step 12: Publish and then save and close your app. Step 13: Save and close your solution. Step 14: Publish your solution. Step 15: Select Settings, select My Apps and validate that your new app is available. Step 16: Exit out of your system. 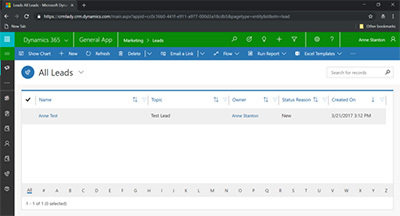 Step 17: Log back into the system and select the Dynamics 365 drop down menu. You will see your new app and you can select it. Step 18: Select your new app and take a spin with the new 9.1 xxxxx User Interface. Step 19: Advanced Fun: You can edit the app and limit the available entities. You can also reduce the number of available forms or views per entity and you can do things like reduce the number of dashboards. The world of apps is packed with potential, and this little post will get you started along one of the many paths to success. If you like additional information, contact us. One of our CRM experts would be glad to help.